Dismal infrastructure in the state capital has finally got the attention of the Karnataka High Court. Based on a PIL filed in 2015, it has directed civic officials to plug nearly 15,000 potholes in the city to reduce road accidents. These potholes were throwing traffic out of gear on nearly 14,000 km of roads under the city corporation, Bengaluru Bruhat Mahanagar Palike (BBMP). To ensure that the repairs of the potholes are properly done, the Court chose the services of Dinesh Agrawal, superintending engineer, CWE (Army), Bengaluru, and MG Uma, member secretary, Karnataka State Legal Services Authority. They have to give a comprehensive report based on inputs from all key stakeholders. A pothole may be a small matter for a High Court to get involved in, but it is a major killer. In 2017, they accounted for 593 deaths on Bengaluru’s roads and caused economic hardship due to the time lost in traffic jams. Nationwide, potholes swallowed nearly 3,600 lives in 2017. Last year, on October 2, Anthony Joseph and his wife, Susai, both in their 50s, met with a fatal accident while trying to avoid a pothole near the Mysore road flyover. That week alone, the city reported four deaths linked to potholes. It even forced Congress party chief Rahul Gandhi to ask for a report from then chief minister Siddaramaiah who asked Bengaluru development minister KJ George to urgently repair all potholes wrecked by heavy rains. That had little impact. Bengaluru continues to be the fourth deadliest city for motorists in the country. Karnataka Chief Minister HD Kumaraswamy, too, expressed unhappiness over the slow pace of work by civic officials: “It is sad that we have to get a direction from the honourable high court to repair our roads or keep the city in top condition… the officials must put in all their best efforts for the citizens’ sake,” he reportedly said. BBMP Commissioner Manjunatha Prasad, an IIT-trained engineer, told India Legal that his team was doing its best under the circumstances. He has also sought the help of two experts from the civil engineering department of the Indian Institute of Science—GLS Shiva Kumar Babu and Rajiv B Mallick. “We honour the court’s directions and our team is working round the clock to ensure there is high-quality work,” said Prasad. 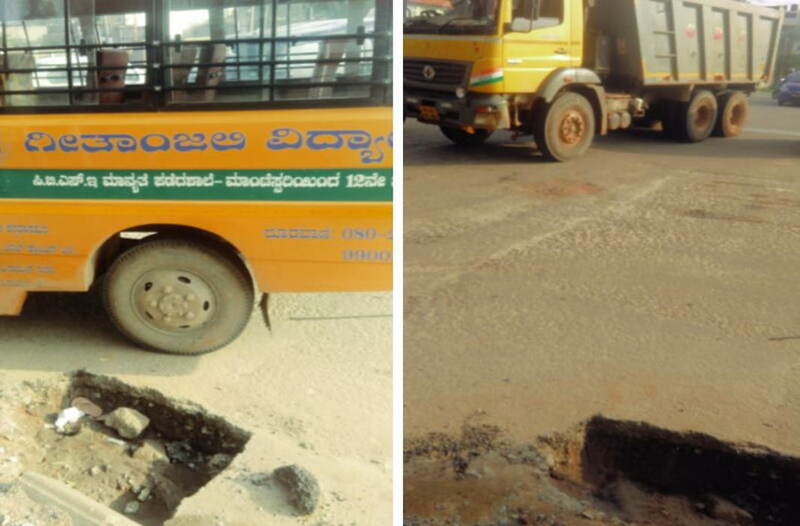 The BBMP website has devoted a separate section to highlight citizens’ concerns about potholes. Coincidentally, on September 18, just a day before the Karnataka High Court bench verdict, a Supreme Court bench of Justices Madan B Lokur and Deepak Gupta was given a report by the ministry of road, transport and highways which said that nearly 3,600 people were killed in pothole-related accidents in 2017 in India, higher than those shot dead (800) or killed in terror attacks for the same year. In April 2014, the Supreme Court had formed a three-member panel led by Justice KS Radhakrishnan to monitor enforcement of statutory provisions, including the Motor Vehicles Act, for making roads safer. A key goal was to suggest immediate remedial action to address this issue: road accidents kill nearly 1.5 lakh people annually. And in July 2018, the Court was told by the panel that states had admitted that there was no provision for taking action against road contractors who were at fault and that there was no compensation policy for those killed due to the potholes. 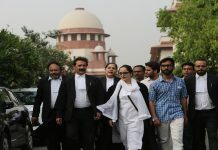 In a related move, the apex court bench also made it clear that from September 1 onwards, automobile companies in the country cannot sell four-wheelers and two-wheelers without third-party insurance for a period of three years and five years, respectively. In view of unsatisfactory third-party insurance offered to vehicles, the Supreme Court Committee on Road Safety has asked the Insurance Regulatory and Development Authority of India to offer a mandatory three-year policy for cars and a five-year policy for motorbikes at the time of sale and registration. In November 2018, the apex court is expected to get a comprehensive report on road safety measures with inputs from several states and Union terri­tories. The Justice Radhakrishnan panel, in its February 2015 report to the apex court, listed several issues, including lax enforcement of the Motor Vehicles Act by state governments. Most states were in the process of framing road safety policies. The panel asked for safety standards to be incorporated in the design, construction and maintenance of roads and strict implementation of helmet laws to check fatalities among two-wheeler and pillion riders. However, an important bill which could have made Indian roads safer hit a road bump in July. While the Motor Vehicle (Amendment) Bill was passed in the Lok Sabha, it is yet to be passed in the Rajya Sabha. 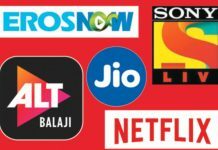 It is being opposed by various opposition parties as it curtails the powers of state governments and favours corporates. It proposes huge fines for traffic violations, protection to Good Samaritans, holds builders accountable for poor infrastructure and makes vehicle owners criminally liable for violations committed by juvenile drivers. The Karnataka High Court has cracked down in the past too when it comes to civic amenities. When Justice Vikramajit Sen headed the High Court, he ensured that the sprawling Cubbon Park was kept clean and green. When walkers there brought to his notice nuisance from anti-social elements, he got the state police chief to swiftly take action. Similarly, Justice Michael Saldanha ensured that a landmark like the moat around the government-owned Venkatappa Art Gallery was restored to its former glory and construction debris removed from it. With road fatalities set to increase by eight percent every year and civic authorities hamstrung by their own challenges, courts are getting into the act to make roads safer. This is one drive motorists are happy about. Previous storyFlex Boards, Hoardings: Going Overboard! Next storyBank Merger: What a Terrible Idea, Sirji!